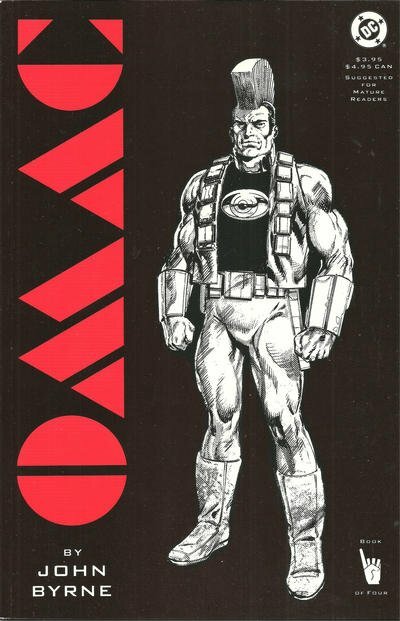 Click Here To See OMAC #1 Comic Book! Check out this very nice 1991 page, which was penciled and inked by the great John Byrne, from the story titled: "Past Imperfect!" This nice page features a scene similar to THE TERMINATOR movie, with futuristic machines blasting buildings and humans! In this story, OMAC "kills" Mr. Big and is sent back to 1929 and becomes young. This great penciled and inked Byrne page was drawn on Craftint board and it has a great gray tone effect! 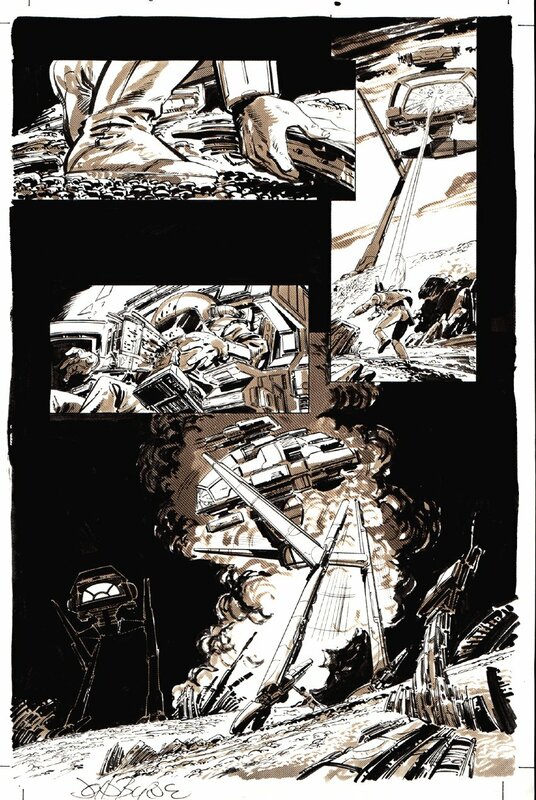 A great opportunity here to own a nice John Byrne SYFY page! ALL art on our website (including this one) are able to be purchased with VERY fair time payments, and trades are always considered towards "ANY" art on our website! Just send us an email to mikeburkey@aol.com and we can try to work something out.